a virtually unknown "B" movie about Otokichi. Click here for more. Thank you for visiting our homepage dedicated to telling the story of John Mathew Ottoson (aka Otokichi). Imagine our world without Nintendo games, no Godzilla (playing for the NY Yankees and on the silver screen), no Ichiro Suzuki, no Last Samurai, no Toyota cars and no Sony PS3s or televisions. These innovations and more almost didn't happen...but luckily for us, there was a young Japanese boy named John Matthew Ottoson. Perhaps no single individual in modern Japanese history has had a greater impact on the modern topography of international economics and socio-political relations, yet -enigmatically- has gone so unjustly unrecognized for his or her contribution, than John Matthew Ottoson. Ottoson was a typical 14-year old boy that superlative circumstances would transform into a global figure involved in numerous events of historic consequence – among them such textbook examples as the 1837 Morrison Incident at Edo Bay and Kagoshima, at which the Samurai flung cannon balls at their ship and his participation in the 1839-1842 Opium Wars in China. 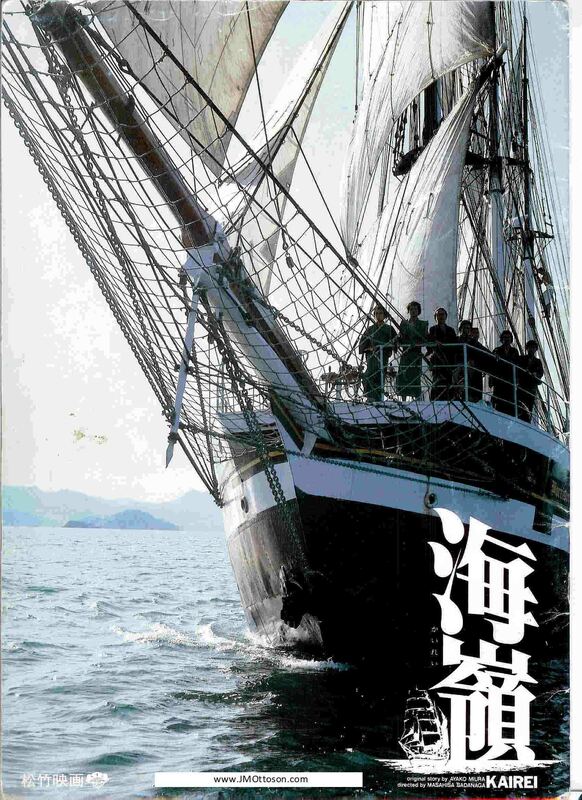 The typhoon-damaged Hojunmaru, carrying a cargo of Japanese Owari-made Setoyaki ceramics, that marooned in the Oregon frontier 170 years ago represents the first trade of Japanese goods in the U.S. and was documented in the U.S. Navy journals of Commodore Charles Wilkes. This single incident inspired young Commodore Matthew Cailbrath Perry to approach President Jackson and organize the Black Ship Fleet to open trade relations with Japan through Otokichi’s understudy, while Otokichi himself (a member of the British Royal Navy) would open the port at Nagasaki to trade with Britain in 1854. It was this newly developed trade treaty that set the groundwork for building what would evolve into an international network of trade and exchange between East and West, perhaps unrivaled since the Silk Road. As Japan’s first true global adventurer, academic, entrepreneur, soldier and family man, Otokichi’s life and courage to overcome difficulties should be celebrated as an inspiration to all. A combined 115+ years among Otokichi Research Partners (ORP) members has gone into researching this biography, based upon the original story by Mr. Yuzo Igarashi and now to be told in English, with fellow research partners Mr. Norie Akiyama, Dr. Sachiko Tanaka, PhD and Mr. Tei Gordon. Thank you for visiting our webpage and please follow the links to get learn more about the Otokichi story and our pending book. Eventually, we will also publish an English version.